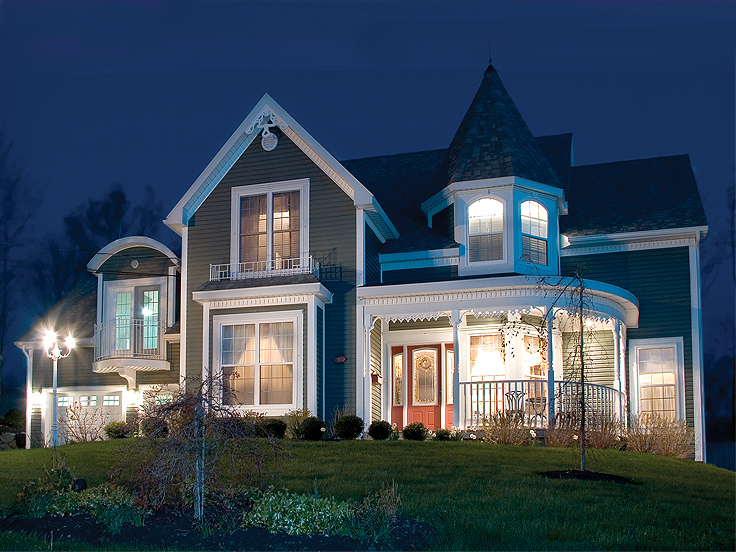 Victorian house plans are commonly recognized for their striking exteriors. However, they aren’t always easily recognized for their casual interiors. T ake a look at these 10 special Victorian house plans and discover the splendid mix of elegance and comfort they have to offer. 027H-0192 – Offers formal and casual dining and gathering spaces, plus three bedrooms and two baths upstairs for privacy. Don’t miss the bonus room! 032H-0042 – Features a bayed living room with a view and a hearth-warmed family room. Four bedrooms and two baths upstairs accommodate everyone’s needs. 034H-0022 – Boasts an open floor plan with two-story great room and island kitchen. Don’t miss the peaceful den, your luxurious master suite or the large bonus room! 035H-0092 – Elegant exterior with spacious rooms and three floors of living inside! Special outdoor living area, striking staircase, playroom and a loft where you can kick back and relax! 043H-0162 – Open floor plan with a touch of country living. Kitchen serves the nook and dining room with ease. Deluxe master bath and library will get your attention. Three secondary bedrooms and a bonus room upstairs. 047H-0006 – Country Victorian flavor with an emphasis on outdoor living. Three bedrooms and two baths located upstairs for privacy. 051H-0004 – Showcases formal and informal gathering spaces, plus interesting angles and plenty of windows. All bedrooms positioned upstairs including the caretaker’s quarters. 054H-0121 – Bays of windows fill this home with natural light. Notice the spacious family room and nearby rec room. Three bedrooms and two baths upstairs accommodate everyone’s needs. 057H-0009 – Outdoor living abounds, but there is plenty of family gathering space inside too. Features a pampering master bedroom on the main floor and four more bedrooms upstairs. 063H-0184 – Highlights include octagonal sunroom and living room, spacious family room, and access to the turret from your lavish master bedroom. Don’t miss the gazebo and veranda! Want to see more? 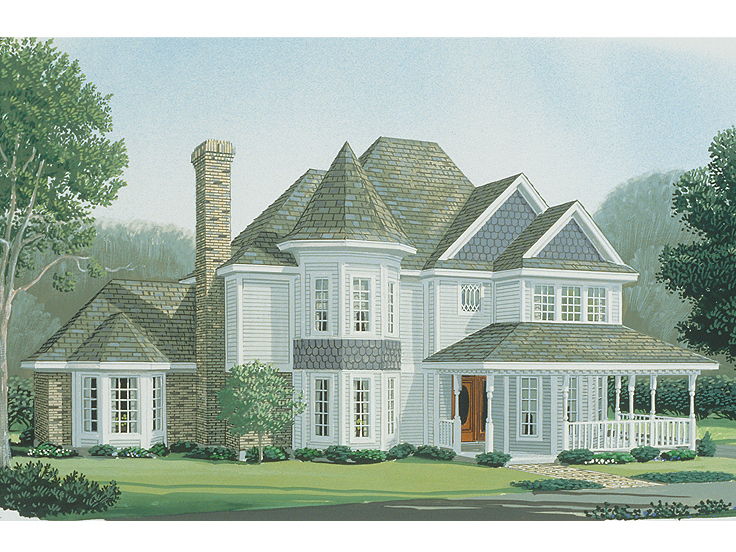 View our entire collection of Victorian House Plans to find the design that is right for your family!